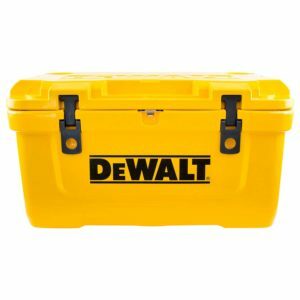 The DEWALT 45 Quart Cooler is the all-in-one tool for keeping your food and drinks ice cold on the jobsite. 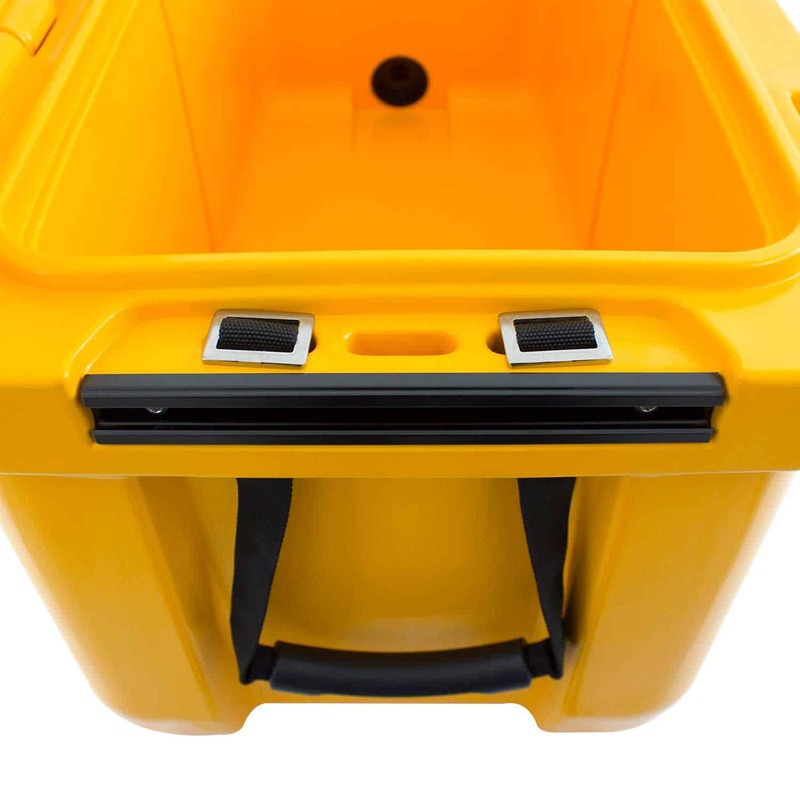 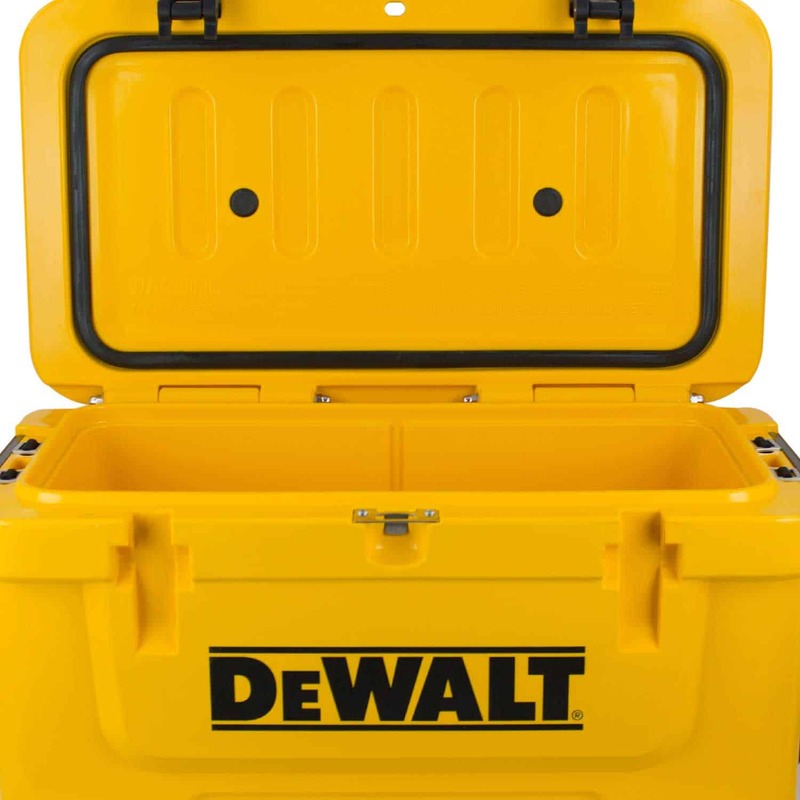 This cooler is ideal for taking to the construction zone, backyard barbeques, campgrounds, sporting events or wherever life may take you. The reinforced pressure-injected insulation provides superior ice retention and ensures Temperature Optimization Under Great Heat. 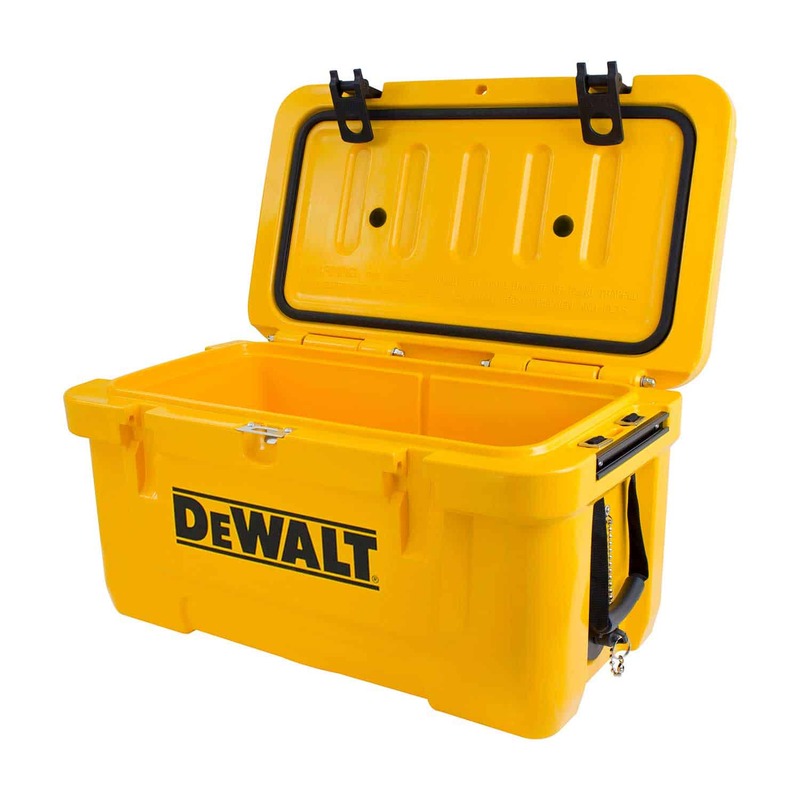 Keep your drinks and food colder longer with the DEWALT 45 Quart Cooler. 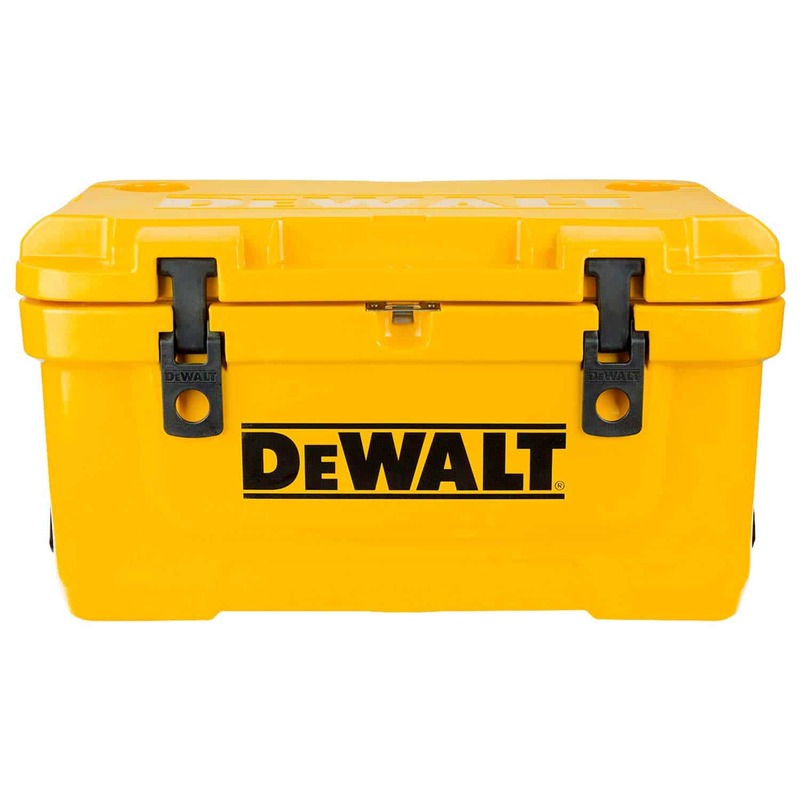 Dimensions: 28.35″ (L) x 15.77″ (W) x 15.59″ (H) Weight: 27.59 lbs.